Conference participants believe the power of new immigrants can change control of the country. 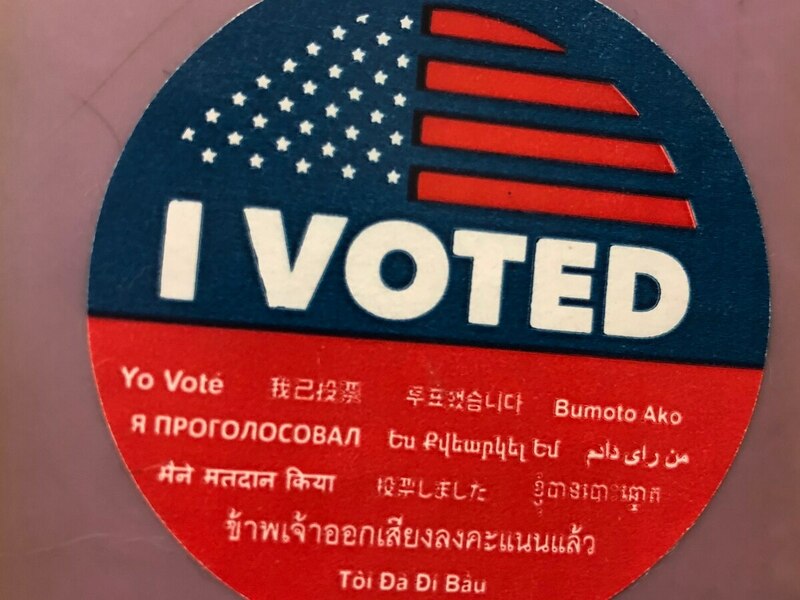 Faran Kharal voted for the first time in this year’s midterm election and was one of the many speakers who shared their experience at a news conference Wednesday organized by the Coalition for Humane Immigrant Rights of Los Angeles (CHIRLA). Kharal, who is Pakistani, said it took him two years to become a US citizen and the chance to vote in the country he has called home since 2004 was special and exciting. CHIRLA worked for months before the election to register new immigrants like Kharal to vote on election day to change the country’s leadership and its attitude toward immigrants. Salas said she appreciated all who came to vote. And in 2020, she said the country should elect a president who believes in the “united” part. Salas said no matter one’s gender or race, everyone should be given respect and equal treatment. “We want leaders who see us as human beings, who want to engage with us, and who give us the equal human value,” Salas said. In the midterm election, Democrats are confirmed to have won 222 seats in the U.S. House of Representatives, giving them a majority in the House. The Senate remained in Republican hands. Democrats managed to flip some of the Republican seats in the House and gained 27 more seats in the House to give them control, but failed to achieve an overwhelming “blue wave,” some experts had predicted. A Democratic win in the House has given the party subpoena power and the legal ability to force Republicans to turn over documents. They will be able to pursue legal action to review the president’s finances, Russian interference, administration ethics scandals. They could even demand Trump’s long-concealed tax returns. Democrats are now focused on the 2020 presidential elections and the midterm results were an encouraging signal. For Salas, it’s key that everyone stands up and fights against racism and for what’s right.